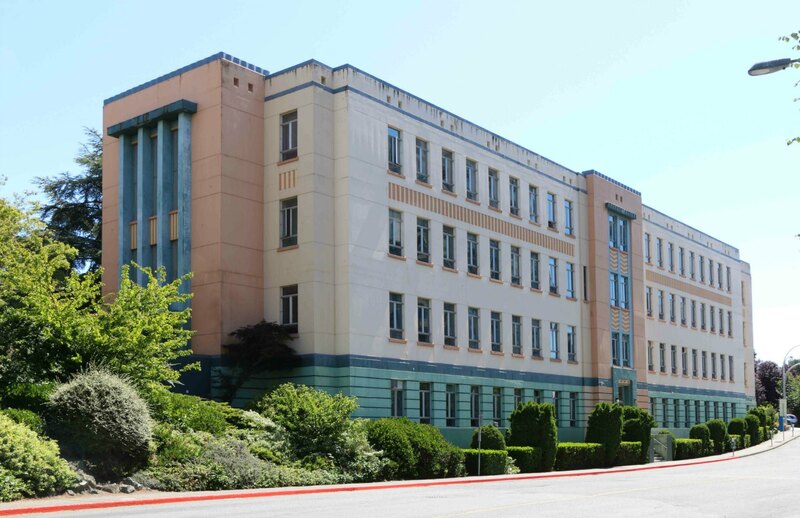 This City of Victoria Heritage Building at 780 Blanshard Street was built in 1939-1940 and is an excellent local example of Art Deco architecture. 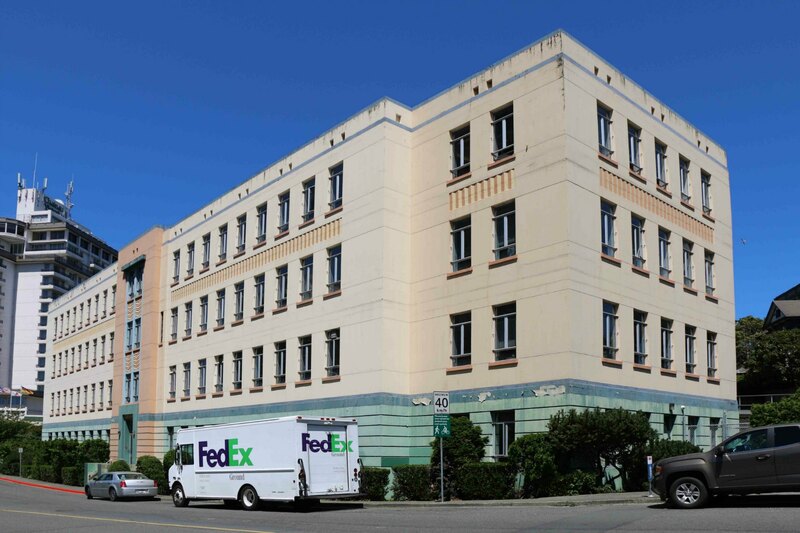 The building was originally intended as a hospital but its first use was as the headquarters for the B.C. Power Commission. The Columbia River Treaty was signed in this building in 1961. It is now used as B.C. provincial government offices. It is listed on the Canadian Register of Historic Places. 780 Blanshard Street, built in 1939-1940. It became the headquarters of the B.C. Power Commission. Here is a map showing the location of 780 Blanshard Street. 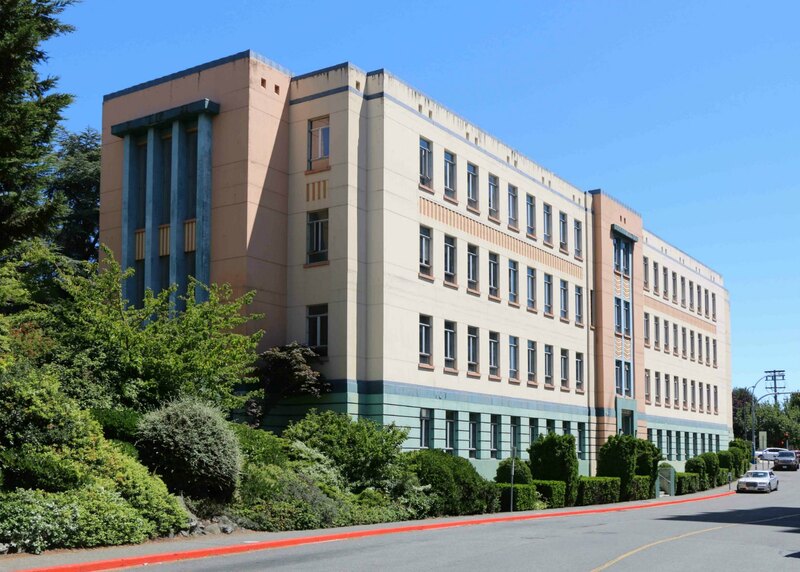 This City of Victoria Heritage Building was built in 1939-1940 and is an excellent example of Art Deco architecture. It was designed by Henry Whittaker (1885-1971), who was the Chief Architect for the Province of British Columbia between 1919-1949.